This baseball reflector personalized sports ornament will be a hit with ballplayers and fans of America's pastime. The reflector is handcrafted from blown glass using Old World techniques that create sparkle wherever this decoration is displayed. This is one of the sports ornaments personalized by Russell Rhodes lettering artists to enhance its significance for the recipient. 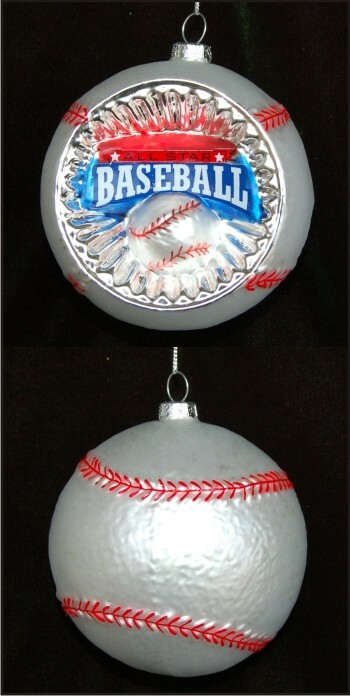 If you prefer quality glass ornaments to cheap plastic, this glass baseball reflector ornament is a winner.